Camp for €20,- a night at Campsite Seehorn in low season with CampingCard ACSI. 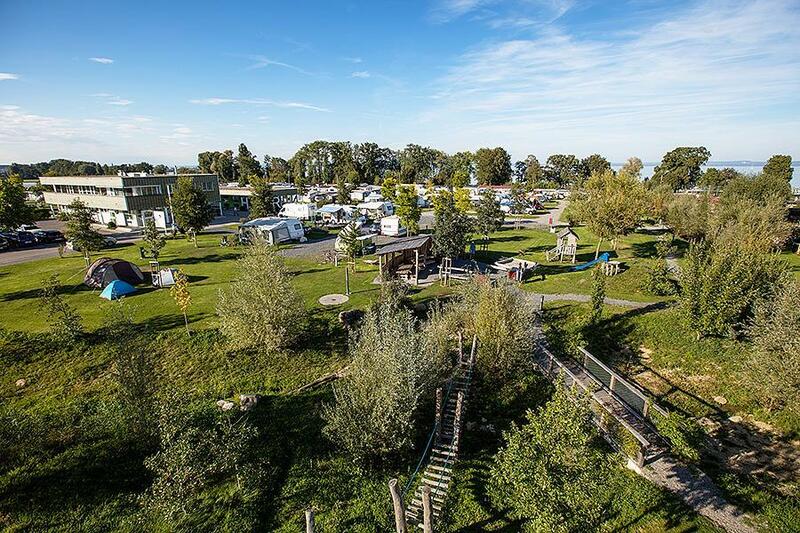 Campsite Seehorn, located in Egnach (Thurgau), is a campsite with 80 touring pitches and 180 year round pitches. With your CampingCard ACSI you can camp on one of the pitches during the following periods: 01-03-2019 - 18-04-2019, 22-04-2019 - 29-05-2019, 02-06-2019 - 07-06-2019, 10-06-2019 - 20-06-2019, 23-06-2019 - 28-06-2019 and 01-09-2019 - 31-10-2019. At this campsite you can not only use your CampingCard ACSI for inexpensive camping, you can also use your ACSI Club ID (as an alternative ID). Campsite on a transit route, separated from the Bodensee lake by lawns. Good cycling and walking opportunities, cooking facilities available. The sanitary facilities are good and there is a good restaurant. One of the best campsites we have ever stay on. From our point of view no complaints. Sanitary block was immaculate even a shower for the dogs. Two restaurants close by but we did not use them. A good base from which to explore Lake Bodsee. Would you like to book Campsite Seehorn or request more information? You can do both using the information below or by visiting the campsite's website. The campsite is located on route 13 between Romanshorn and Arbon. Signposted from both the west and east approaches. CampingCard ACSI will send your information request to "Campsite Seehorn".